As many of you know, Fred stands very strong on the values of tradition both in his personal and professional life. 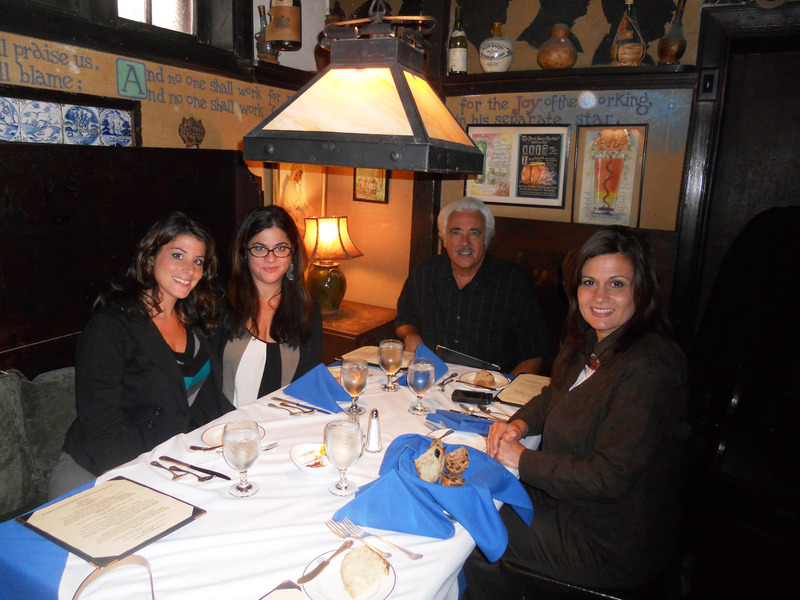 Even in the 32 years we have been in business, he has always kept certain traditions alive. 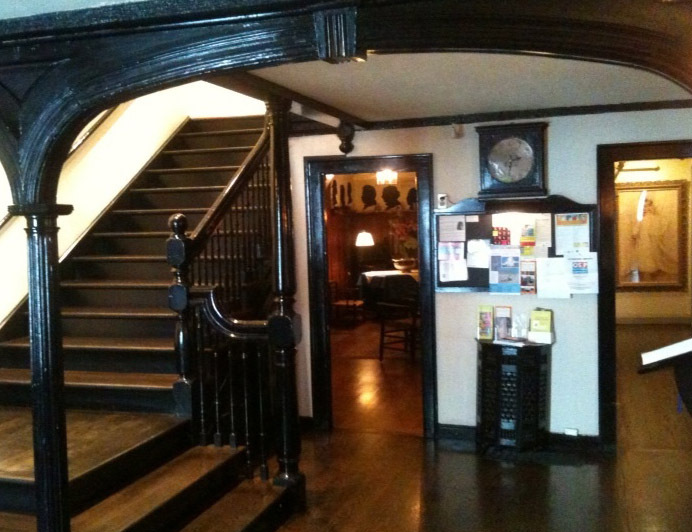 One tradition that we have been enjoying for the past several years is our monthly visits to the Providence Art Club (and there we are seated in the famous Cabaret Room for lunch). As an illustrative artist himself, Fred became a member to support other local artists. 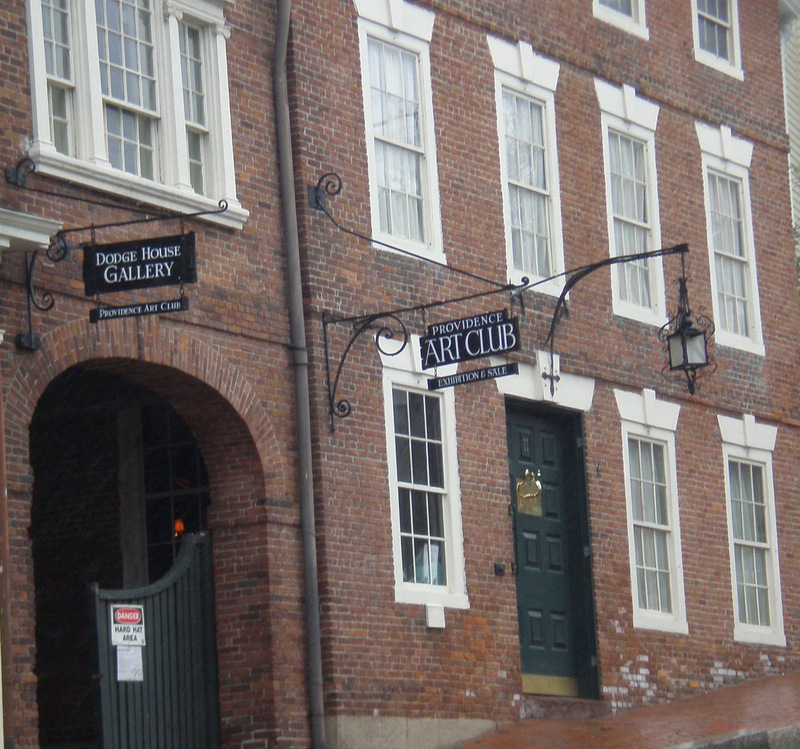 Located on Thomas Street in the heart of downtown Providence, surrounded by steep hills and brick sidewalks, The Providence Art Club evokes old fashioned charm for its visitors. It was founded in 1880 by 16 men and women as a way to appreciate the art of the local community and within a month they had already enlisted 128 members. 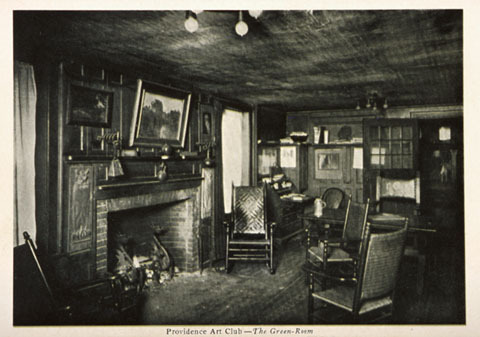 Since then, membership has grown and the Providence Art Club has maintained its important place in the Providence art community. 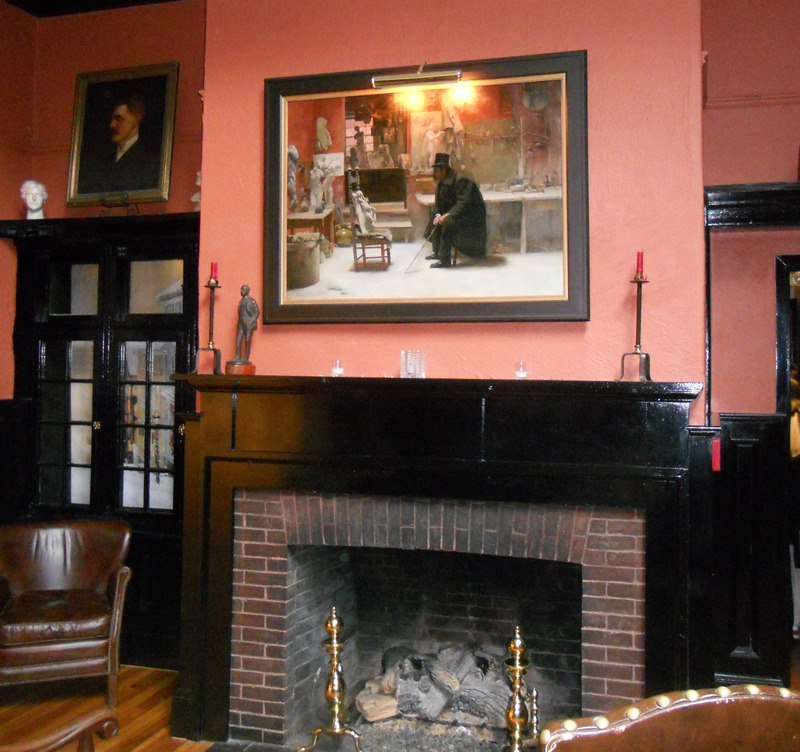 What we love so much about the Providence Art Club is the ambiance. When the heavy wood door opens you are brought instantly back to a moment in time where artists and scholars lingered and socialized over Brandy and a good cigar. 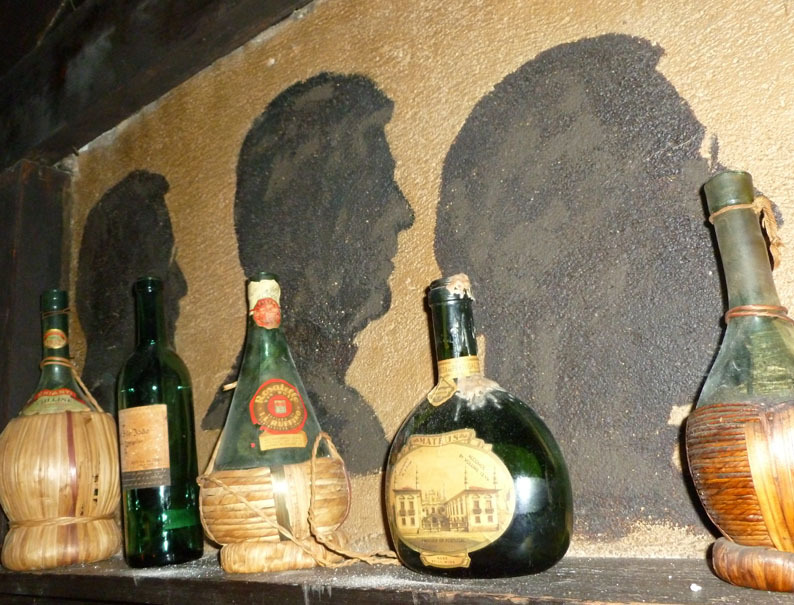 With its low ceilings, dark wood trimmings and walls bordered with painted silhouettes of past members you cannot help but feel like you are living a little bit of history. Though the Art Club has grown and expanded considerably since its beginning, amazingly enough the inner decor has kept much of its originality. The Green Room (shown left, circa 1920-30) still looks very much the same even to this day. And the dining area, once serving Johnny Cakes for lunch (still a tradition at the Art Club) now serves a full lunch and dinner with some of the most delicious entrees. A brand new, state-of-the-art kitchen along with a fabulous chef, ensures members a truly wonderful dining experience they can look forward to coming back to time and time again. However, it’s not just the food that brings members back…it’s the total package. Every inch and corner of the Art Club could be photographed and made into a postcard. Rich leather chairs, burning fireplaces and beautiful art hanging everywhere leaves you tempted to skip work and spend the rest of the day basking in its atmosphere. The Art Club has ongoing gallery showings of various local artists as well as several events where artwork can be viewed and purchased. From abstract to realism art, there is much to see at The Art Club. 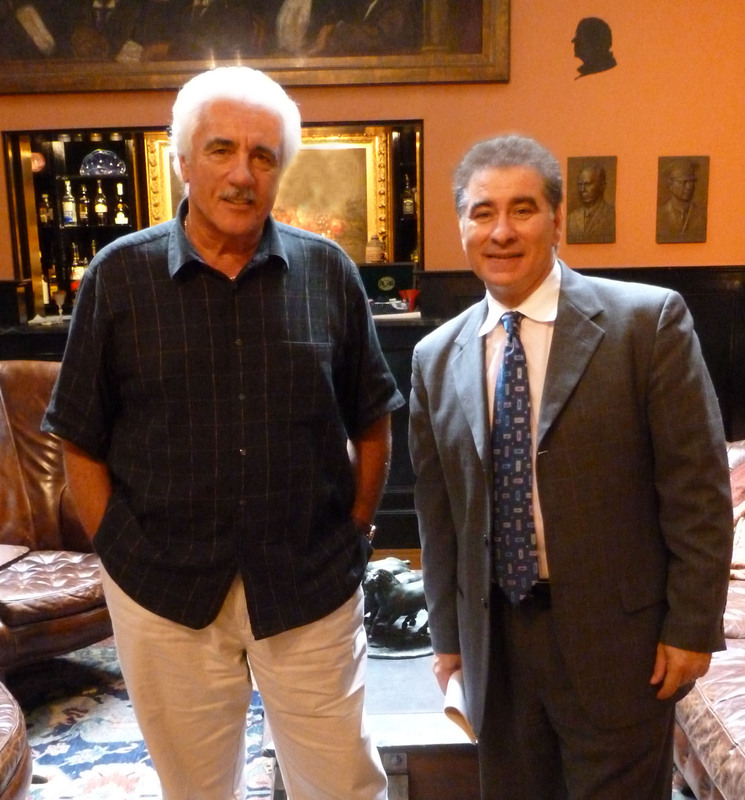 General Manager, Seb Borges (pictured with Fred right) is diligent in maintaining The Art Club’s personality as well as its prominent standing within the art community. And its members, like Fred, are an important part in keeping that tradition alive. What is really the most treasured experience is taking a break from a busy work day and escaping to a place that brings you back in time. A place when cell phones didn’t exist, and you could sit back and enjoy a tasty lunch and rich conversation. This is one tradition we hope to keep for many years to come. For more information on the Providence Art Club, visit their website at: www.ProvidenceArtClub.org.